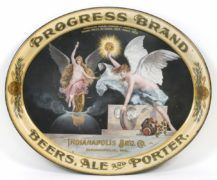 This is a rare porcelain beer sign from the Wagner Brewery in Granite City, Illinois, 1915. 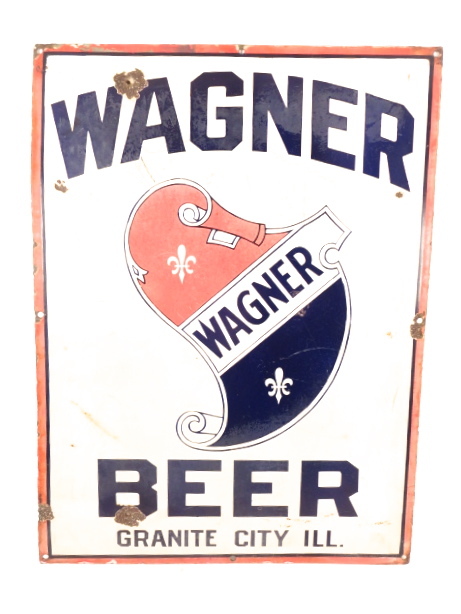 The Wagner Brewery was in business before prohibition and again for a few short years after prohibition ended. 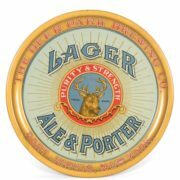 The Wagner brand was their flagship brew but they also manufactured Regal beer for a few years. 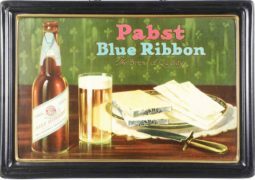 Before Prohibition, the company’s logo image depicted this red, white and blue split shield. 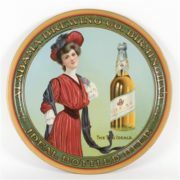 After Prohibition, they updated the logo to a full shield and added gold barley and hops to the image. 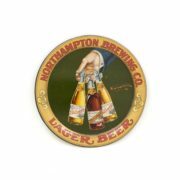 Therefore, it is easier to distinguish the dates of Wagner Brewery’s advertising items based on which logo is portrayed in the piece. 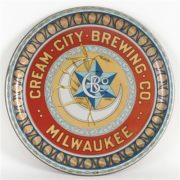 The Wagner Brewery was in competition with the Central and Heim Breweries in East St. Louis, IL, the Star and Griesedieck Western Breweries in Belleville, and the Bluff City brewery in Alton, Illinois. 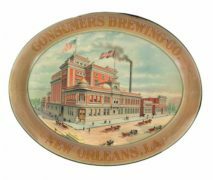 Across the river in St. Louis, Mo were the larger competing breweries such as Anheuser Busch, Wm. 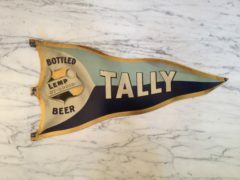 J. Lemp, Hyde Park, Columbia Brewing, ABC Brewing , Phoenix, Klausmann, and many others. 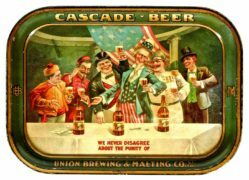 Two other Wagner Breweries were located in Miami, FL and New Orleans, LA.